Hollywood doesn’t tend to be kind to the elderly, a notion that Robert De Niro seems to prove with his embarrassing stint as Dirty Grandpa. Now in her mid-70s, Lily Tomlin finds herself confronted with the “wacky granny” role in 2015’s Grandma - will she emerge unscathed? Elle Reid (Tomlin) seems to be in an unhappy place following the conclusion of a relationship with her much younger girlfriend Olivia (Judy Greer). Even though Elle ended it – and maintains a caustic exterior – she feels more alone and depressed than she’d like to admit. Into this setting steps Elle’s granddaughter Sage (Julia Garner), a teen who comes to her with a particular request. Saddled with an unwanted pregnancy, Sage needs $630 to get an abortion. Elle lacks the funds so we follow the pair as they spend a day in pursuit of the cash. As I mentioned at the start, Hollywood tends to treat the elderly poorly. In addition to De Niro’s debacle, we’ve seen recent atrocities like Susan Sarandon’s nutty granny in 2014’s Tammy. Grandma doesn’t force Tomlin to humiliate herself, but it doesn’t give her a ton of room to develop an especially interesting character either. The film paints Elle as little more than a stereotypical angry lesbian most of the time. We occasionally see a softer side of the character, but those moments come across as gratuitous and somewhat contrived. When Elle does mellow, it becomes such a contrast that these shifts seem tough to swallow. At least Grandma attempts some development for Elle, which isn’t the case for Sage or any of the other supporting characters. Grandma follows an episodic structure, as it uses Sage’s impending abortion as a MacGuffin. That conceit motivates Elle to visit many figures from her past, and these little moments allow for a variety of dramatic interactions. Most of these don’t come across as especially believable. All seem to exist solely to create “movie drama”, and they don’t fly. The scenes feel so artificial and contrived that they don’t really go anywhere. At least Grandma doesn’t overstay its welcome, as it clocks in at a miniscule 79 minutes, and I’m glad it doesn’t force Tomlin into the juvenile shtick I might’ve expected. 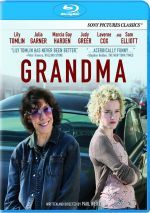 Nonetheless, Grandma never becomes a particularly interesting character journey, as it touches on predictable notes without much vivacity or insight. Grsndma appears in an aspect ratio of approximately 1.85:1 on this Blu-ray Disc. This became a pleasing presentation. Sharpness was usually strong. Most of the film looked concise, but some light softness occasionally crept into a few wide shots. This wasn’t a big deal, though, so the majority of the presentation remained well-defined. No concerns with jagged edges or shimmering occurred, and edge enhancement remained minor. Source flaws also failed to create problems. In terms of colors, Grandma went with a palette that favored a cool golden tone, though it opted for teal during nighttime scenes. Within those parameters, the colors appeared pretty clear and concise. Blacks were deep and firm, while shadows showed good delineation. All of this left us with a “B+” transfer. One shouldn’t expect much from the film’s DTS-HD MA 5.1 soundscape, as it remained decidedly low-key. From start to finish, the track seemed modest in scope. Music showed good stereo imaging, and effects used the side and rear speakers in a gentle manner. Not much occurred in this regard, though, so the mix seemed rather restricted. Elements like vehicles popped up from the back, as did a bit of additional ambience, but the mix stayed restrained. Audio quality was fine. Speech sounded natural and distinctive, without edginess or other issues. Music sounded peppy and warm. Effects had little to do but were clean and accurate. This was an acceptable track for a chatty character movie. 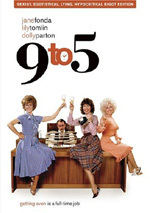 The Blu-ray supplies a smattering of extras, and these open with an audio commentary from writer/director Paul Weitz and actors Lily Tomlin, Sam Elliott and Julia Garner. All four sit together for this running, screen-specific look at story, script and characters, sets and locations, cast and performances, and other production elements. Don’t expect a lot of insight from this commentary. We get occasional nuggets but much of the track sticks with basic praise for the film and all involved. I think there’s enough worthwhile content for fans to screen the discussion, but they shouldn’t anticipate a great chat. During the 25-minute, 15-second A Family Portrait, we hear from Weitz, Tomlin, Garner, Elliott, producers Andrew Miano and Terry Dougas, and actor Judy Greer. We learn about story/characters, cast and performances, and aspects of the shoot. Although we find a few interesting tidbits, much of “Portrait” seems rather fluffy, so expect more praise than information. We also get a Q&A with Weitz, Tomlin and Elliott. It lasts 20 minutes, 58 seconds and covers script/story/character domains, actors and performances, themes and aspects of the production. The Q&A repeats some material from elsewhere on the disc but it adds a collection of new insights. The disc opens with ads for Infinitely Polar Bear, Irrational Man, Truth, The Lady in the Van, Hello, My Name Is Doris and The Diary of a Teenage Girl. We also find the trailer for Grandma. Given the talent involved, I hoped Grandma would become an interesting character journey. Unfortunately, it tends to seem one-note never develops much of interest. The Blu-ray brings us very good picture as well as acceptable audio and a few bonus materials. I want to like Grandma but the end result leaves me cold.